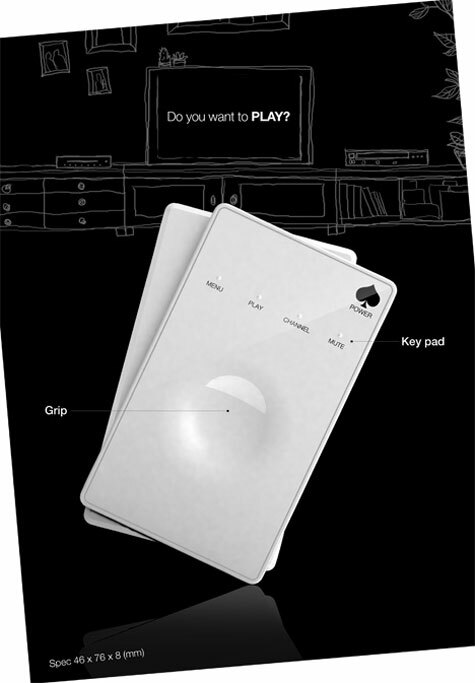 The Game Card remote enables you to control volume and change channels all via card playing like gestures. Sliding your thumb up and down in the center raises/lowers volume. Sliding the top card over a tad changes channel. Sliding it all the way takes you on a wild channel surf.